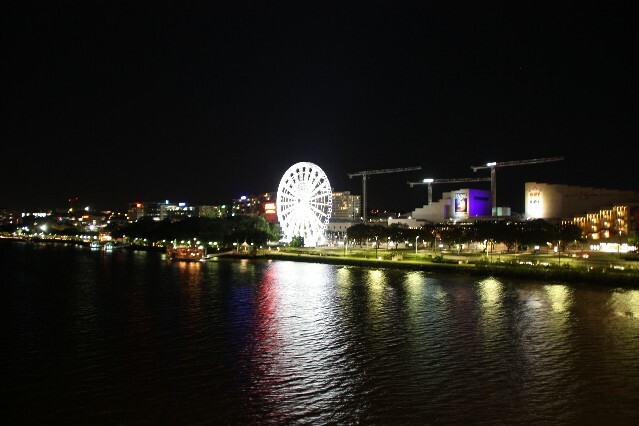 South Bank Brisbane is an entertainment area on the Brisbane river just south of the Brisbane city CBD. South Bank has walkways along the Brisbane River, open parklands, restaurants and bars to suit romantic nights out or dinner with the family. 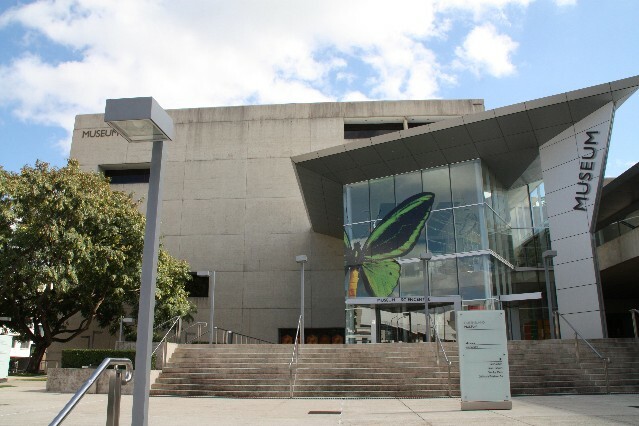 South Bank is also home to some of Brisbane's cultural centres including the Lyric Theatre, Concert Hall, Playhouse, Cremorne Theatre, Tony Gould Gallery, State Library, Brisbane Museum, Queensland Art Gallery, Gallery of Modern Art and the Performing Arts Centre. 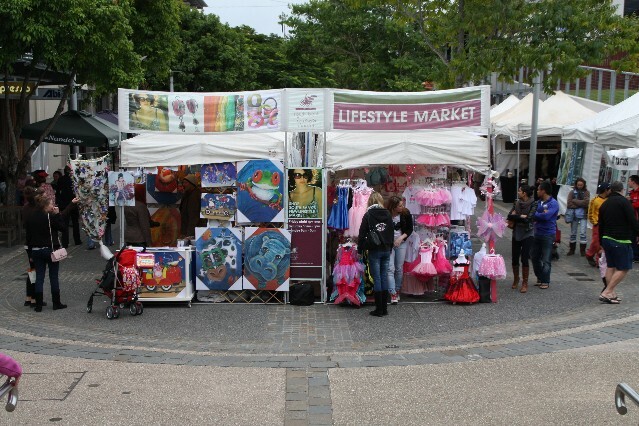 The Lifestyle Markets are held in South Bank every Friday 5pm - 10pm, Saturday 10am - 5pm and Sunday 9am - 5pm. The markets have a range of goods for sale including fashion, shoes, jewelry, art and gifts. Along Grey Street at the South Bank 5 Cinemas showing the latest release movies as well as the huge IMAX screen. Right next to the cinemas is a Commonwealth ATM machine. Across the road from the cinemas are 2 Westpac ATMs. Regional Flavours 2011 food festival Saturday 30th July 2011 and Sunday 31st July 2011 at South Bank Brisbane. How to get to South Bank Brisbane. 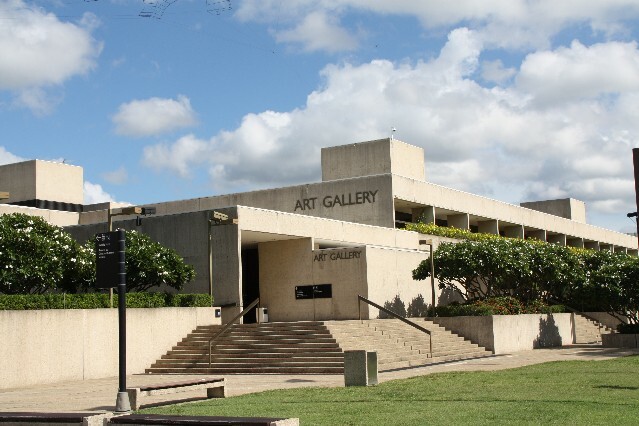 You can also get a train into South Bank Train Station or South Brisbane Train Station. Rydges Hotel 9 Glenelg St Brisbane Ph: +61 7 3255 0822 with views over South Bank, the Brisbane River and over to Brisbane city. Room prices from $179 per night. 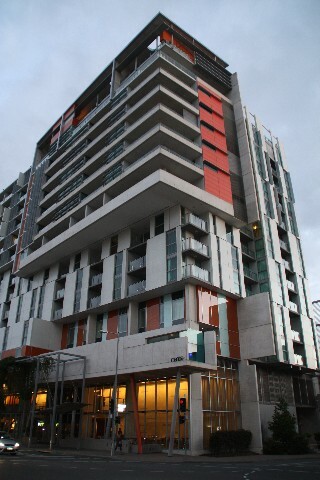 Mantra Hotel 161 Grey Street Brisbane Ph: +61 7 3305 2500. There are coin operated BBQs throughout the Parklands of South Bank so pack your picnic hamper and cooks a great BBQ for your family and friends. South Bank was first developed as the site for the 1988 World Expo. 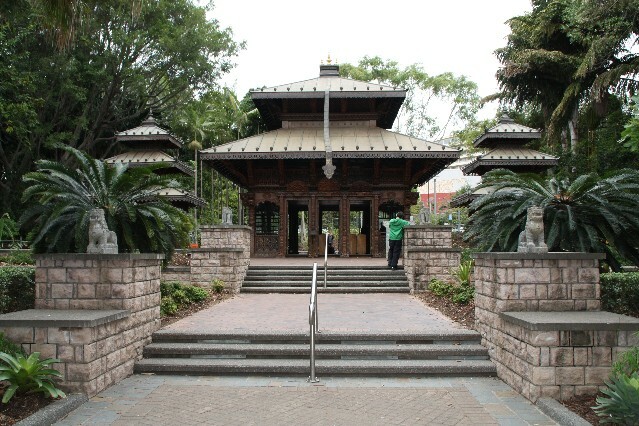 One of the buildings that was built for Expo 88 which is still standing is the Nepalese Peace Pagoda. Built by craftsmen from the Kathmandu valley specifically for Expo 88. The Wheel of Brisbane is a 60m high observation wheel located at South Bank with awesome views over the Brisbane River and Brisbane city. 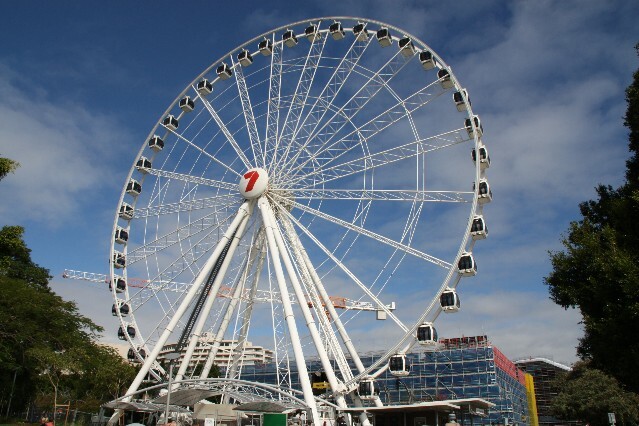 The Wheel of Brisbane operates Monday to Thursday 11am to 9pm, Friday & Saturday 10am to 11pm and Sunday 10am to 9pm. Adult prices are $15, children $10 (4 -12 years), Child $2, infants free, Family $42 (2 Adults, 2 children) and concession $12.80 (no student concession). 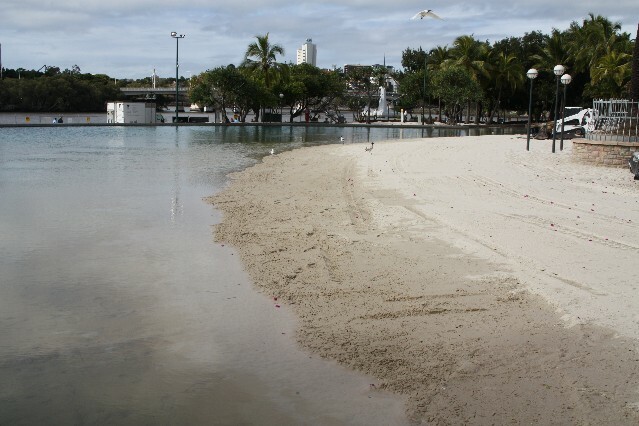 Streets Beach at Southbank is a man made beach in the middle of the parklands of South Bank. The beach has a life guard on duty during the days and into the early evening in the summer. Entry to the beach is free of charge.